Before I even said yes to my recent Malaysia trip, I had to double check if it would coincide with this. All in one night! I could not possibly miss this!!! 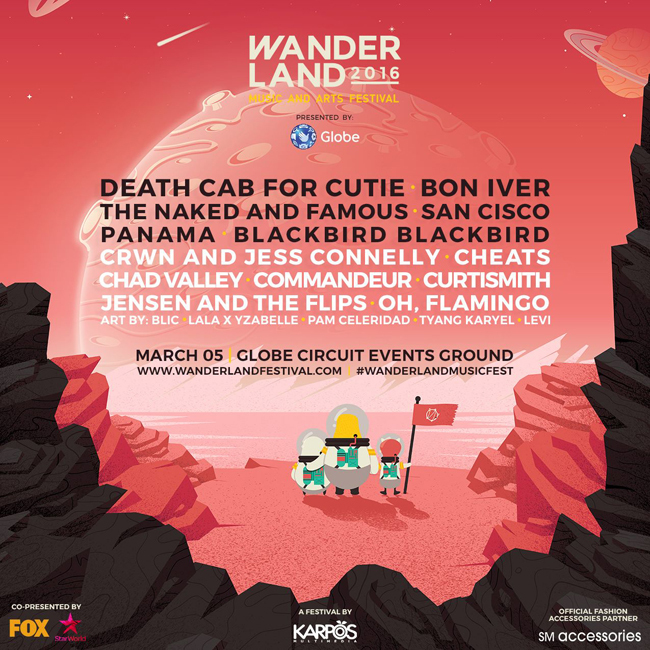 ....And those are just a few of the bands that make up this year's epic WANDERLAND FESTIVAL line up! Have you got your tickets yet? It's happening tom, but you can still purchase online. I am naturally clumsy and very "galaw-gaw" | playful | rowdy and this is magnified 10x during music festivals which is why I prefer to wear black...so I don't look dirty and haggard after just 30 minutes into the show. Wearing black allows me to sit anywhere I want + it's forgiving after drinks are spilled and sauces are knocked over. If you're anything like me, wear black, navy or anything dark. Congratulations, you can standout and look like a modern goddess in white! Small bag - bring only the essentials and pick a cute bag that you can carry around all the time to store them in. with nothing much on your mind you're in it for a ride. Indeed cool choices. And I prefer the black ensemble. Love those jeans! I miss wearing stuff like those. Another lovely combo of outfits! 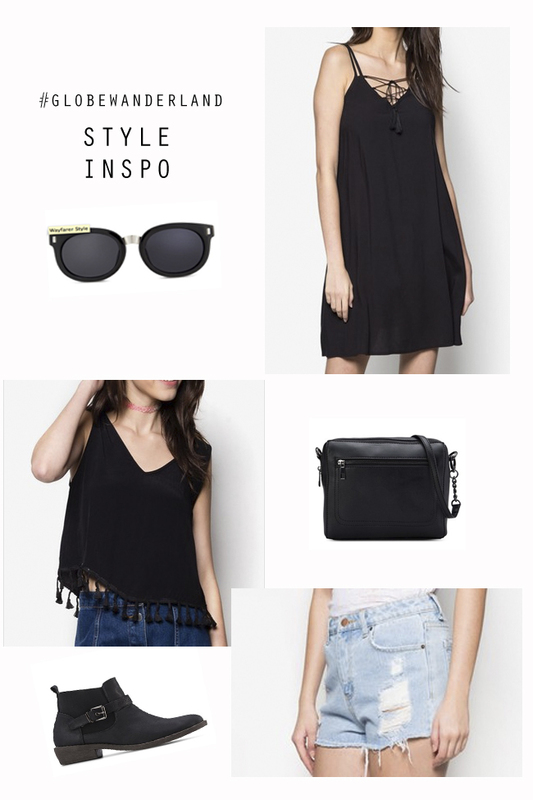 I really like your style picks! I always love reading articles like this and i look forward to more... You are inspiring me to do some fashion blog... I need more encouragement though... Hahaha! Like you, I choose comfort over style. It's easier to look good in any outfit when you feel comfortable with it. Sensible tips here for those who would really like to enjoy a music festival while remaining stylish.